KAMPALA – Bank of Uganda (BoU) has confirmed they have put Bank of India under close monitoring until March 31 when the bank intends to liquidate itself. In a February 23 letter by BoU director for commercial banking Hannington Wasswa, the central bank wants to ensure that the restructuring of the parent institution, Bank of India, back home does not have a bearing on its operations in Uganda. “In view of the ongoing developments relating to the restructuring of Bank of India in India, which might have a bearing on the operations on Bank of India Uganda Ltd, Bank of Uganda has deemed it necessary to put the institution on a more regular monitoring,” reads the letter to the Board chairman Bank o of India Uganda Ltd. This website exclusively broke the story of the impending closure of the operations of Bank of India on February 19 after BoU agreed to take over the management of the Uganda branch and to suspend all members of the board in March. 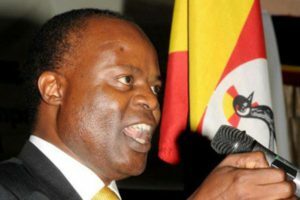 This followed a meeting between the bank and BoU officials led by Deputy Governor Louis Kasekende. 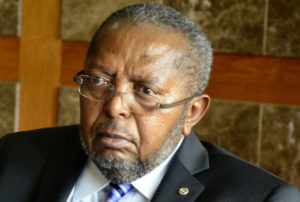 However, a statement released by the governor, Mr Emmanuel Tumusiime-Mutebile, on February 20 said the reports were misleading. But now, a letter seen by PML Daily confirms that BoU is monitoring Bank of India in preparation for its closure on March 31. According to the letter, the bank is required to submit on a daily basis, a report on the status of its operations to the BoU commercial banking department. “The report shall be submitted to Bank of Uganda by 9am of the next working day, following the date of reporting commencing February 22,” the latter reads in part. A source at the Bank of India says ever since PML Daily broke the story, the bank has lost close to Shs69 billion as depositors withdraw their money for safety. The source says the meeting of the board and its Indian directors will officially communicate the impending closure to BoU, who will then appoint a statutory manager to handle the bank affairs and suspend its board of directors by March 31. Mr Ajay Kumar Panth, the bank’s managing director, said although they have had meetings with BoU, the bank will not close because of poor performance but because of decision of the parent bank in India. “To tell you the truth, we are operating normally, our bank is profitable and fulfilling all the regulatory requirements as stated in the financial institutions Act, 2004. We are making profits and we can’t close but this is dependent on the outcome of the bank management late this month,” said Mr Kumar told PML Daily. According to sources at the bank, the management of the parent bank in India has already submitted to BoU a liquidation plan for close monitoring to ensure that depositors are protected. The parent bank in India plans to close the Kampala bank by March 31 due to restructuring, recapitalisation and in order to improve on return on assets. “Due to restructuring and recapitalisation and improving on return on assets in Bank of India, we have decided that with effect from end of March 31, 2018 to end business at Bank of India Uganda,” reads the letter in part. The source said Bank of India in India shares fell nearly 5 percent after the Reserve Bank of India [RBI] placed the bank under Prompt Corrective Action Framework due to bad asset quality performance and that the owners now want to have the assets in Bank of India Uganda taken to recover. Although Mr Kumar said this action will contribute to the overall improvement in risk management, asset quality, profitability, efficiency of the bank, the workers claim money and assets are likely to be taken out of the country. The Bank of India has already closed its subsidiary branch in Myanmar in Yangon in Burma.